Zen and the art of investing – simple stories to understand markets and our reaction to them! In the high mountains of Yunnan in China there lived a monk. He had a reputation of being a great but strict teacher. He would never come down from the mountains to teach. Anyone willing to learn meditation from him had to make the arduous trek up the mountain. Many students would think about it and give up. What lesson could be so special that it warranted a long and difficult journey, they justified. There was one brilliant student, however, who was determined to travel the distance. An accomplished meditator himself, he was willing to tread the strenuous path to learn from the greatest master. He was curious to unlock the few secrets, he thought he didn’t know. So, after months of walking through the mountains, he reached the small hut where the master lived. It took some convincing, but eventually, the master agreed to train him. The student was excited. He couldn’t wait to acquire the deep, life-changing wisdom the monk was about to impart. The trek to arrive at it would be all worth his while. The master asked the student to sit next to him. The student, a bit baffled, did as asked from him. “Then what?”, he asked. “Now watch the grass grow”, said the master. After a few minutes, the student asked, “What next?”. Why this story, you ask? Because there’s a direct correlation to investing. Investing is easy too. We complicate it with all the commentary that surrounds us and distracts us from the obvious. Invest as much as we can as soon as we can. A good rule of thumb is 20 – 30% of your income. Invest for 10 years or more. Equity Mutual Fund returns have less variability the longer the holding period. You shouldn’t study investing like a yak eats grass—a little bit over here, a little bit over there. You are bound to end up with a mishmash of investment ideas and a Frankenstein portfolio which will be hard to manage over time. But just like watching grass grow, the simplest investment advice is the hardest to follow. We are torn by greed, the ‘make 2% more by investing in this new scheme’ kind of distractions, and by fear, the market crash will take away all our gains. So much so, that the average investor is invested in a fund only for slightly over 18 months. Put differently an average investor churns their portfolio 100% every 18 months. That’s a very high rate. Not only do we not let our money grow un-interrupted, but we also must decide every 18 months which fund to invest next. If you think all this churn doesn’t affect investor’s return, think again! In a Journal of Banking and Finance, 2007 paper titled Mutual fund flows and investor returns: An empirical examination of fund investor timing ability author Friesen and Sapp look at this question – does trying to time the buying and selling on equity fund improve investor returns? They look at 7,125 Mutual Funds in the US over a 13 year period and calculate two measures of returns. The fund return is caluclated from the NAV of the fund and is the return generated by the fund manager through their actions. The investor return is the the fund return weighted by the investor fund flows. This is the return captured by an average investor that invested in this fund. They find that while an average fund manager produced 0.62% of monthly return in the sample, the average investor could only capture 0.49% of monthly return. Market timing thus cost the average investor -1.56% annually in lost returns compared to a simple buy and hold strategy. Over 1991–2004, equity fund investor timing decisions reduce fund investor average returns by 1.56% annually. Underperformance due to poor timing is greater in load funds and funds with relatively large risk-adjusted returns. We find evidence that equity fund investors between1996-2007 reduced their returns by 1.32% annually due to investor timing decisions. Investors in actively managed funds displayed the poorest performance, while investors in index funds actually showed the ability to time the market. Think about it, all the churn and all the decisions made to improve returns end up costing the average investor ~1.5% per year from the return that the fund manager delivered. Peter Lynch is widely regarded as one of the foremost investors of our time. 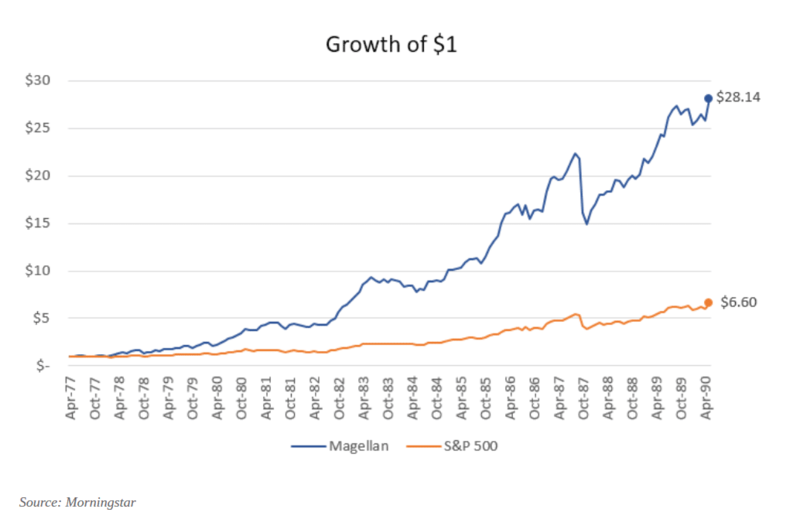 As the manager of the Fidelity Magellan fund, Lynch delivered annualized returns of 29.2% over a 13-year period from 1977 to 1990. In his book, Heads I Win, Tails I Win: Why Smart Investors Fail and How to Tilt the Odds in Your Favor, Spencer Jakab revisits Lynch’s track record. That’s a huge investor behavioural gap of 22% annualized. It is telling that investors gave up so much in trying to time Lynch’s performance. It’s a double whammy of sorts if you think a bit more about it. First, the investors spent a considerable amount of time and decision-making energy to identify Lynch as the manager who was likely going to outperform in the future. Then, they spent more time and decision-making energy in trying to outperform Lynch by timing his portfolio returns. Fund flows into and out of equity funds for the retail investors back up the point. Retail investors are more prone to invest after a few years of outsized gains, precisely when reversion to mean would say that near future returns are not going to be that great. They are also likely to pull out after a few years of bad performance, precisely when reversion to mean would say that the next few years returns are going to be better than average. Sometimes actions that we think are beneficial have very counter-intuitive effects. Take for example viewing your email too often at work – each day a typical office employee checks e-mail 50 times. It hinders your productivity by not letting you concentrate on important issues for a long period of time. Computer chip giant Intel, for one, has estimated that e-mail overload can cost large companies as much as $1 billion a year in lost employee productivity. Similarly tracking your portfolio daily may have an adverse impact on long term portfolio returns. Just as watching the grass grow can be boring, watching your portfolio daily can be emotionally draining. Research by Michaela Pagel of the Columbia Business School suggests that daily tracking can hurt long-term returns. A popular theory in behavioural economics is loss aversion. It posits that a loss of Rs 1,000 brings a lot more dissatisfaction than the satisfaction gained by a profit of Rs 1,000. The theory has been well replicated across studies with some studies claiming that losses hurt twice as more as the joy from a similarly sized profit. For someone following the markets daily, the loss during the down days can be psychologically draining and can lead to bad decision making. If you are always more unhappy when you get bad news than you are happy when you get good news, that implies that, on average, looking up your portfolio is painful. Most people, if forced to look at their portfolio every single day, would make a very poor investment. So, check your portfolio less often and just let it grow. A good behavioral hack from my friend Apurv Jain, who has researched markets at Microsoft Treasury, Chicago Booth and HBS, is to never take an investment decision alone. Pre-identify 2-3 people, you need to discuss every rebalancing or new investment idea before you execute them. This will give you time to ponder if the action is worth taking. By removing urgency from your actions, you will make better long-term decisions. The ability to detach ourselves from the market news is much harder than we think. To be able to focus on the grass sounds easy, but it’s hard in practice. If you can practice a level of financial meditation your capital is bound to grow, as is the grass. Wonderful advice. Looking forward to more insights.